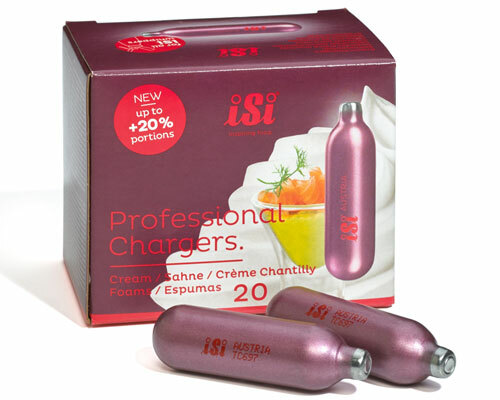 The iSi Professional Cream chargers (20 pack) are made exclusively for iSi Cream Whippers. Leak proof, has no expiration date, made of 100% recyclable steel. 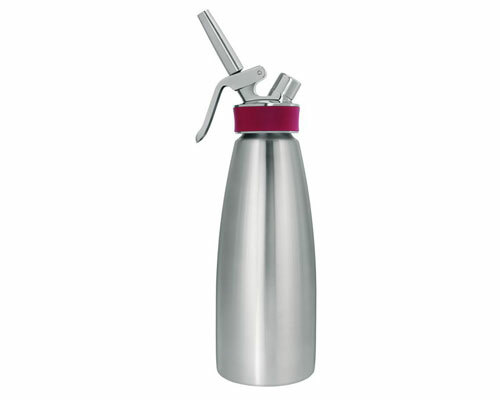 The iSi Gourmet Whip 1 pint has a stainless steel body and head, with a silicone grip and a fixed steel valve for easy dispensing (even with hot products). Heat resistant silicone gasket with removal tab for quick and hygienic cleaning. Keep warm in bain marie up to 75°C/165°F. Also includes Stainless Steel Straight Tip, Tulip Tip, Star Tip, Cleaning Brush. 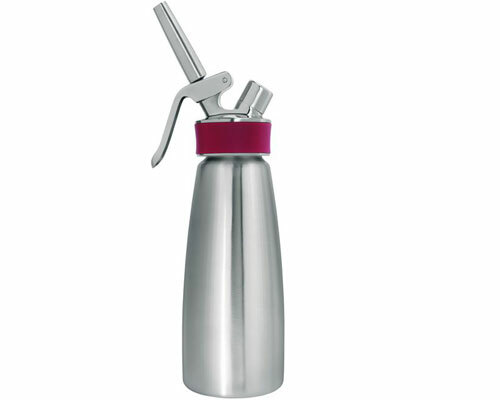 The iSi Gourmet Whip 1 Quart has a stainless steel body and head, with a silicone grip and a fixed steel valve for easy dispensing (even with hot products). Heat resistant silicone gasket with removal tab for quick and hygienic cleaning. Keep warm in bain marie up to 75°C/165°F. Also includes Stainless Steel Straight Tip, Tulip Tip, Star Tip, Cleaning Brush. The iSi 12 in Pro Tongs made of 18/10 stainless steel and high-performance polyamide, theyƫe easy to hold, smooth to operate, and totally versatile. 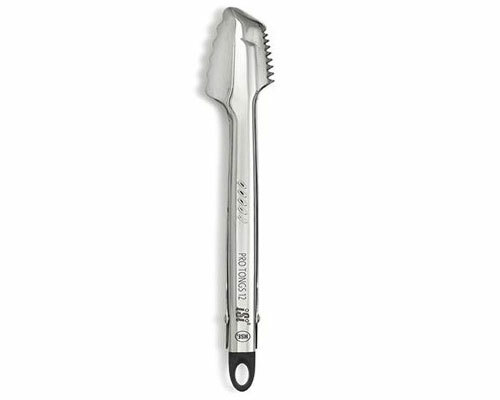 From pasta to pork chops, Pro Tongs� Food Handling Tools give you a secure handle on food. The iSi 9 in Pro Tongs made of 18/10 stainless steel and high-performance polyamide, theyƫe easy to hold, smooth to operate, and totally versatile. 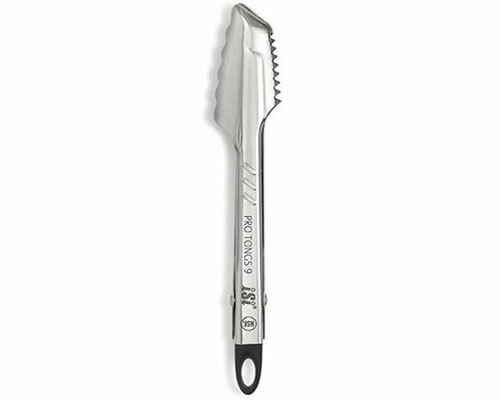 From pasta to pork chops, Pro Tongs� Food Handling Tools give you a secure handle on food. 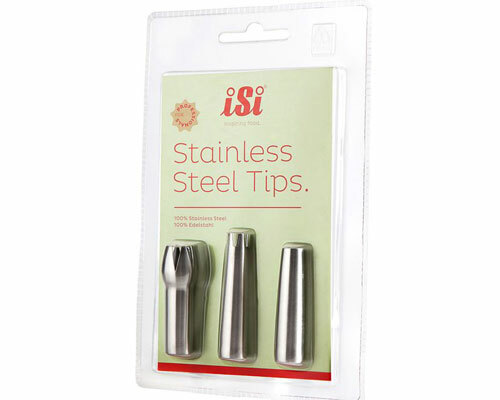 iSi Stainless Steel Tips are perfect to present cream, desserts, Espumas, sauces, soups and much more. Set of tips include, 1 tulip, 1 star and one straight tip. They are made of stainless steel and are dishwasher safe. 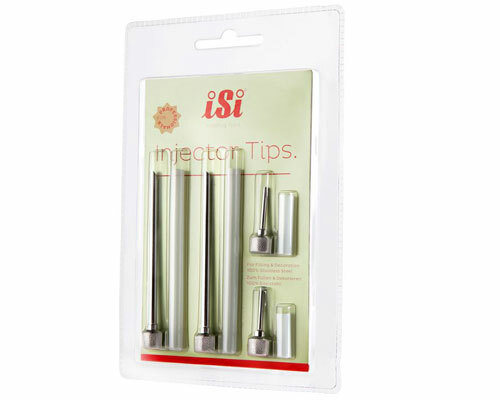 The iSi Injector Tips are ideal for decoration, stuffing food, liquid injections, marinating, injecting and basting as well as frying and cooking in fat, water and calcium bath. Set of tips come in four different sizes 2 short and 2 long with either a 3mm or 5mm diameter. Tips are made of stainless steel and are dishwasher safe. 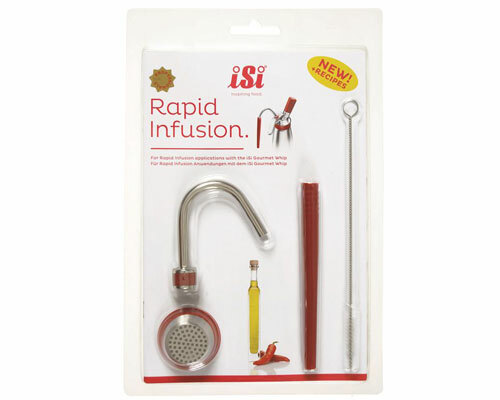 The iSi Rapid Infusion Tool Kit is a four piece accessory kit for the iSi Whipper. 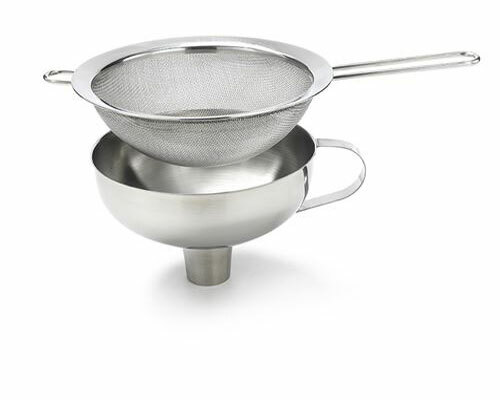 The kit has four pieces 1 sieve made of silicone mounted to 1 stainless steel sieve, 1 stainless steel ventilation tube, 1 silicone tube and 1 cleaning brush. 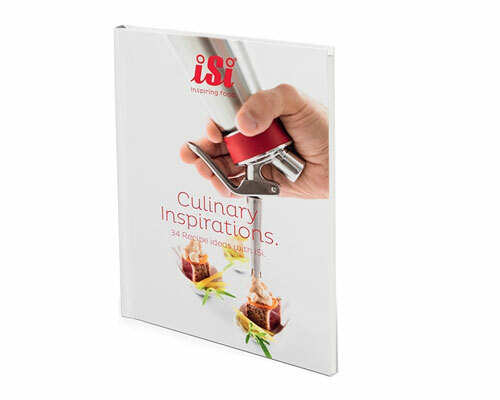 iSi Culinary Inspiration Cookbook comes with 34 recipes from foams to whips, drinks and more. This book is made to go with the iSi Gourmet Whip. 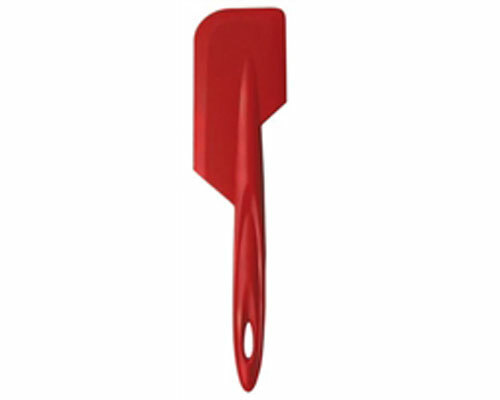 The iSi Slim Spatula (Red) features a spring-steel core and a red-silicone outer shell. The steel core provides some flex and the silicone shell is heat resistant up to 600 °F (315 °C). 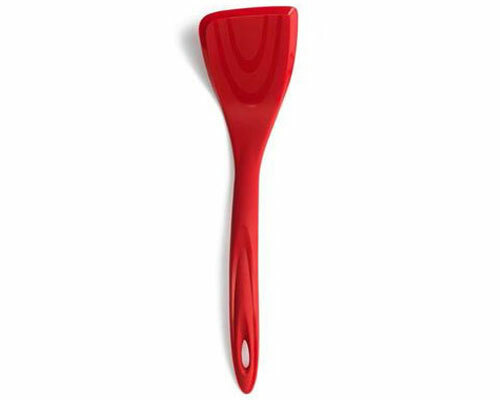 The silicone also makes this slim spatula hygienic and is dishwasher safe. 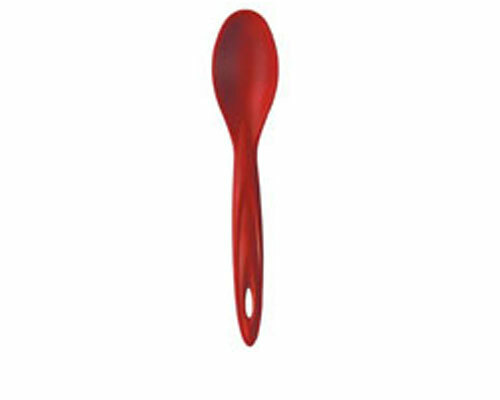 The iSi Utility Spoon (Red) features a spring-steel core and a red silicone outer shell. The steel core provides some flex and the silicone shell is heat resistant up to 600 °F (315 °C). 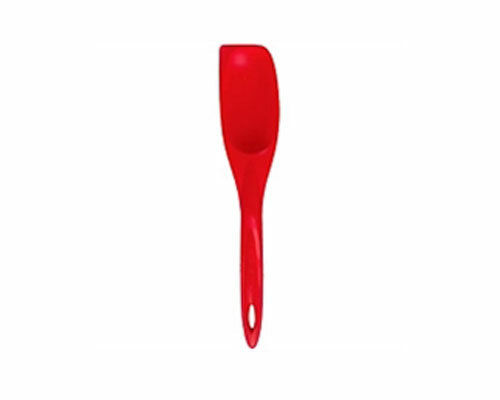 The silicone also makes this spoon hygienic and is dishwasher safe. 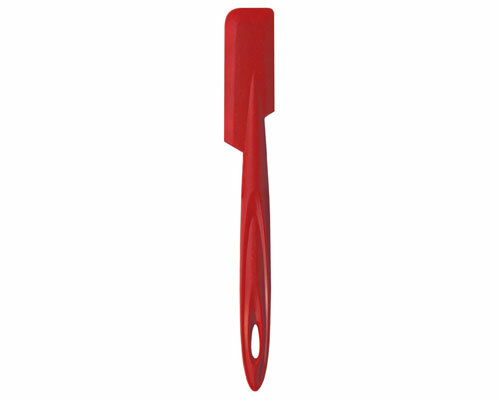 The iSi 13 in Turner (Red) features a spring-steel core and a red-silicone outer shell. The steel core provides some flex and the silicone shell is heat resistant up to 600 °F (315 °C). The silicone also makes this turner hygienic and is dishwasher safe. 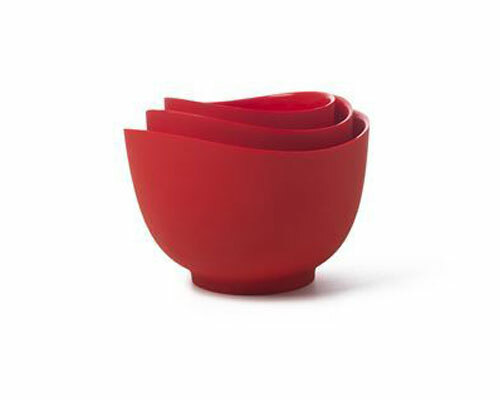 iSi Silicone Mixing bowls are flexible with curved edges for easy and drip free pouring from anywhere on the bowl. 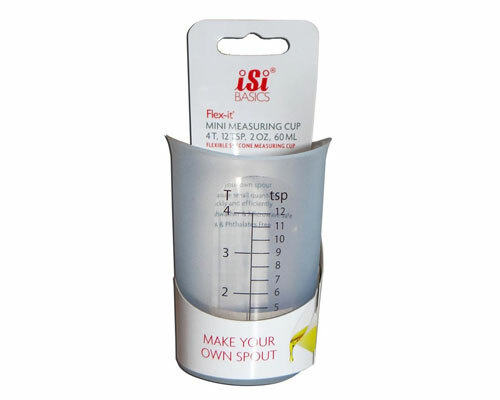 The iSi (4 Cup) Measuring Cup is highlighted by a number of features. The "Flex it" silicone design allows the user to form a spout and pour from anywhere along the rim. This Cup shows its units in Metric and U.S. measurements, also the iSi cup is heat resistant to 490 °F (254 °C) and is microwave/ dishwasher safe. The iSi (2 oz.) 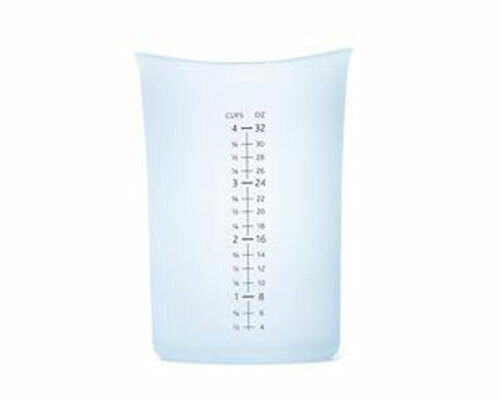 Measuring Cup is highlighted by a number of features. The "Flex it" silicone design allows the user to form a spout and pour from anywhere along the rim. 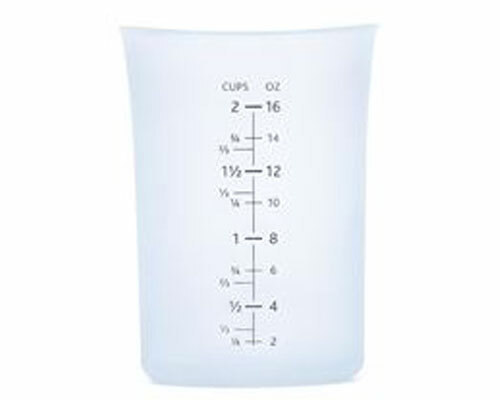 This Cup shows its units in Metric and U.S. measurements, also the iSi cup is heat resistant to 490 °F (254 °C) and is microwave/ dishwasher safe.